Specializing in authentic & organic destination weddings, gatherings & elopements. If adventure is your thing and if it’s super important to you that you have amazing images of your day – then you’ve come to the right place! Tailored Fit Photography is top notch!! Everyone at our renewal was amazed at their professionalism and their friendly nature. They were very present, capturing every moment, yet you barely noticed they were around which kept our small wedding intimate. They truly have a gift of keeping things calm and making you feel relaxed..... what a blessing guys!! Thank you!!! Tailored Fit Photography invested so much into our engagement photos and our wedding day. They made us feel at ease in front of the camera and truly cared about making our day an incredible experience. We are blown away by our amazing photos!! We could not have made a better choice on who was there to capture our day. Thank you Tailored Fit! 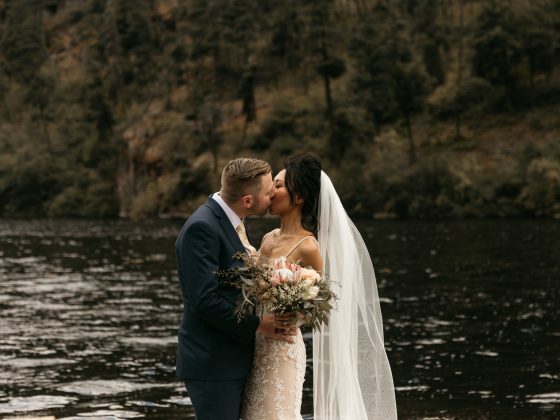 We absolutely loved working with Tailored Fit Photography for our wedding. They were amazing. Worked so hard and caught many artisitc shots that we so appreciate. The photos turned out great and we couldn't be happier. Thanks Jordan and Ryan!!! SOME OF OUR AWESOME COUPLES! HECK YES - GET MY GUIDE! Nowhere is this more true than on your wedding day. Your wedding is a reflection of who you are and the people you cherish the most in the world joining you to celebrate it. Then one day – it finally arrives! Its never exactly what you expected! After months or even years of planning and saving up for your dream day, its over in the blink of an eye! Trust us, when we got married we couldn’t believe how fast it all went by. No one could of prepared us for just how quickly this huge day comes and goes. So when we received our photos it was the most incredible thing. We’d forgotten SO much about the day in just a few short weeks. Now the photos (and each other, duh!) are all we have left of that amazing day – and we cherish them more than we ever could have guessed. That’s why your photography is so important. And that’s why people invest so much into their wedding photography. Memories, emotions and moments of time. Each one echoing forevermore the story you see with your eyes and that burns in your heart, but that you just can’t hold still in time! Call it cheesy, call it poetic – but we’re suckers for photography. We’re not into oldschool posing or faking moments. Our goal is to capture your day authentically and organically -Its our goal not just to capture gorgeous photos, but to make your wedding photography an incredible experience. 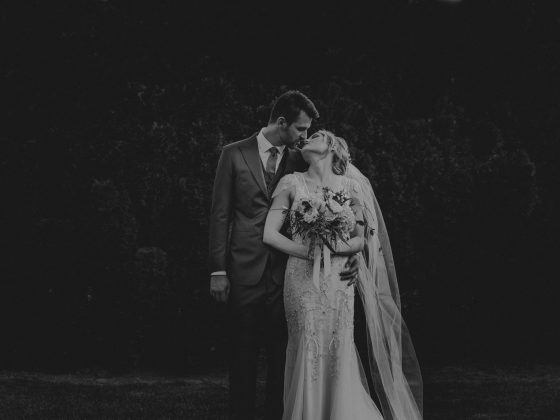 We believe that your love story deserves an hand-crafted, one of a kind approach. We’re big into photographing real moments, real emotions, and natural, candid wedding photography. 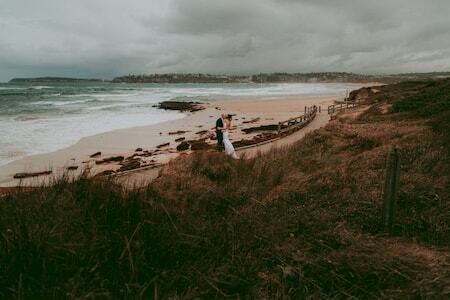 We’ll step in to tweak where you need a little guidance or help, but we do our best as wedding photographers to make sure you feel comfortable and can forget the cameras as much as possible. Our style is more about getting you interacting with each other, rather than a lot of really formal posing! Because we care deeply about making real connections with our couples, we take only a limited number of weddings per year. Because we value relationship with our couples, we offer a Complimentary Engagement Photography Session to get to know us before you commit. You wouldn’t invite a stranger to your wedding, so why would you invite a stranger to photograph it?! Contact Us Now to book yours today. We will passion to capture all that your story is. Re-experience those memories over and over again, for years (and generations!) to come. We hope that your eyes catch the spirit of our art and that your heart catches the value and meaning within our photos. Tailored Fit Photography are an incredible duo, with tremendous talent, heart and passion! Couldn't have imagined anyone else to capture all the amazing moments of our unforgettable, fairytale day! A huge thank you to Ryan & Jordan, you guys are absolutely fantastic!! Tailored Fit Photography is absolutely the BEST service I have ever received. Ryan & Levi captured our wedding and I could not be happier with them!! Not only are they extremely professional, they make you incredibly comfortable and natural. Ryan was in constant contact with me for the entire year before the wedding, super helpful and very insightful. He helped me with ideas and lovely places to take pictures...he went over and above what I expected. Our pictures and video are amazing, could not ask for more. If you are looking for a Kelowna wedding photographer STOP looking and go for Tailored Fit Photography... you will NOT be disappointed!! Tanner and I had SO much fun taking our engagement pictures with the wonderful Jordan and Ryan! HUUUGE thanks to them for taking us on an adventure while we got these pictures. So blessed we caught them before they head back to The States and Canada Thanks so much, y'all! We’re located in Kelowna BC, but frequently photograph weddings all around the Okanagan. Places like Vernon, Kamloops, Naramata Bench, Penticton, Kamloops, and Osooyos have some of the most unique and creative wedding venues we’ve been to! Weddings within the Okanagan are free from travel costs. We’ve been all around the world photographing weddings. Crazy enough, after everything, Kelowna and the Okanagan offer some of the best places ANYWHERE for wedding photography! Kelowna is a gorgeous place for wedding photos. There’s a reason there are so many Kelowna Wedding Venues to choose from! As wedding photographers, we appreciate the huge variety for weddings you find in Kelowna and wedding venues in the Okanagan. From gorgeous winery weddings at Summerhill Pyramid or Cedar Creek Estate, to elopements at Big White or Silver Star. You can’t beat the backdrops of vineyards like Painted Rock Winery in Penticton, or the gorgeous vista views of Sanctuary Gardens in West Kelowna. 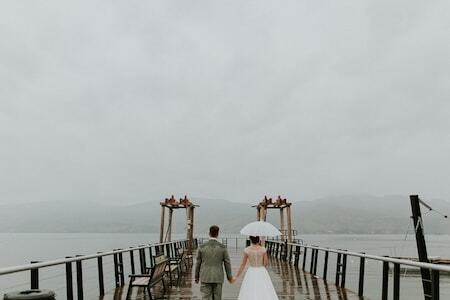 No matter what you have in mind for your wedding photography, the Okanagan has it somewhere. Finding a Kelowna Wedding Photographer is easy. Choosing a wedding photographer is HARD. 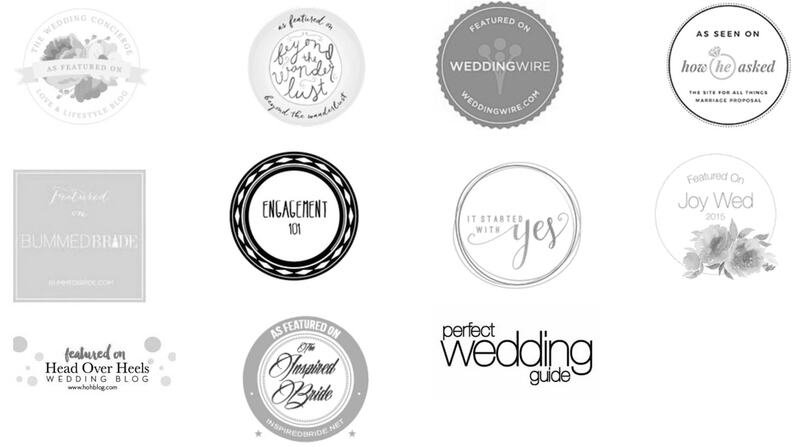 With so many wedding photographers, it can get overwhelming. Just because a photographer is based in Kelowna, isn’t a guarantee they’re the right fit for your wedding. Having a photographer whose work you LOVE is crazy important – And so is actually LIKING being around them! After all, you’re going to be spending most of your wedding day with your wedding photographer… Its probably important they’re fun to be with! Lets get to know each other! Contact us to set up a meeting. 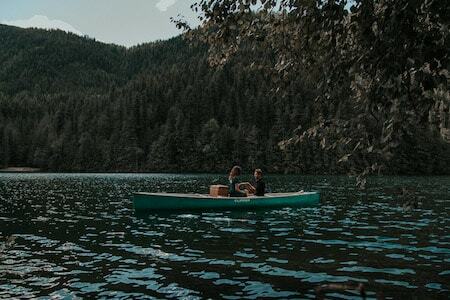 Planning something totally unique or off the grid? Catamaran Elopement through the islands of Greece? Fairytale ceremony in Iceland? 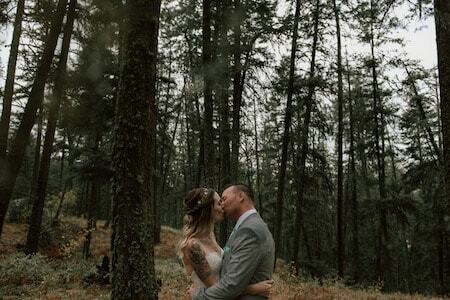 A mountaintop wedding at Kicking Horse, Jasper or Banff? We’re in LOVE with unique and intimate weddings. We’re adventurers, explorers and artists at heart. If you’re planning a wedding somewhere amazing, we have exceptional travel rates! Let us know what you’re dreaming up and we’ll figure something out. As wedding photographers based in Kelowna we’ve seen some amazing spots. Whether your wedding is close to home or far far away, we’d be honoured to be there.